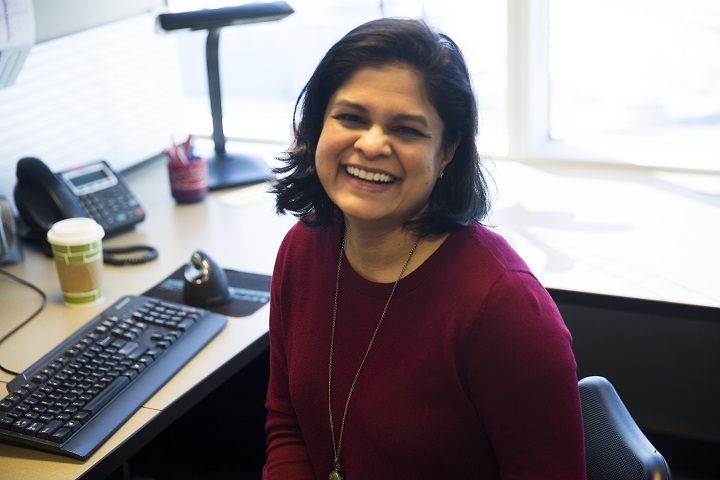 Shikha had recently moved to Canada from India when she applied and got the job with AHS. Here’s her story. What is your name, and position with AHS? 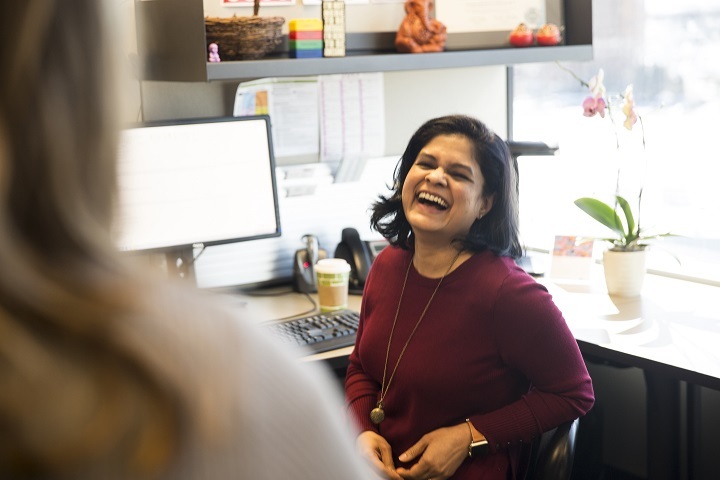 My name is Shikha Mukherjee, and I’m a Senior Advisor with the Human Resources (HR) team based out of the Calgary Zone, and I support the Foothills Medical Centre. How long have you been working with AHS, and what do you do here? For about five and a half years now. 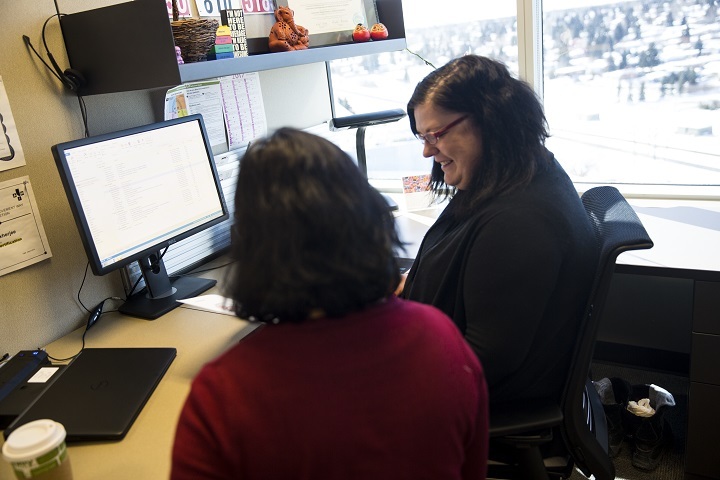 My team and I act as a one-stop shop for all things HR for the Foothills Medical Centre. We run the gamut from the beginning to the end of the HR function, managing various employee concerns, such as salary or benefits, or human rights issues or investigations if the need arises. We also support employee training, lunch and learns, and return-to-work for those who have been on maternity leave, to give just a few examples. We’re a well-positioned support network for our frontline managers and staff. What do you like best about working within HR? It’s being surprised every day with different things. No two issues are the same. It’s typical HR talk to say, “It all depends,” but it’s true, because every situation is unique. It’s never boring. It’s not about you or me, it’s about trying to find the perfect solution for the client, and ultimately, support our healthcare professionals in providing patient care. What led you to apply with AHS? It was the service component of this industry. Before AHS, I worked in other industries and organizations within the private sector. I was interested in doing something different, and very curious about working in healthcare. I feel like I’m giving back to the community in my own little way. I can see the effect, the impact that I have, on supporting others in this organization. There’s so much focus on people, rather than just processes or the business aspect. 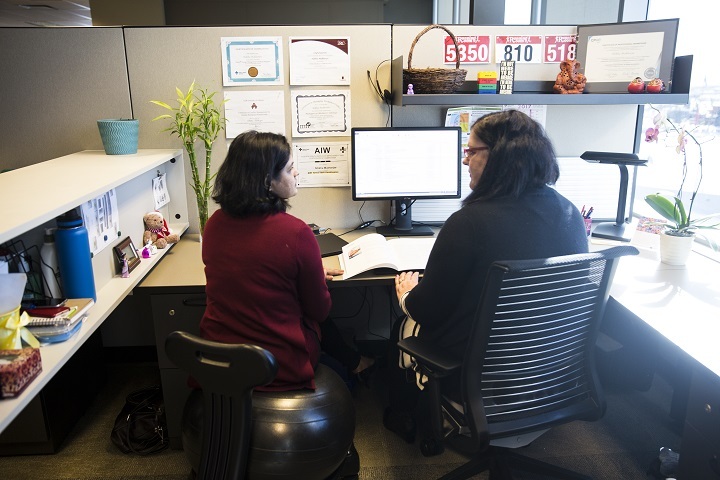 How did you find transitioning to working for AHS as a new Canadian? I had to start from the basics. I had not worked in healthcare before, so there were quite a few things that I had to learn, and be aware of, all specific to the healthcare industry. Unions were new to me. The employment laws in Canada are a little different (from those in India). I worked on getting my Certified Human Resources Professional (CHRP) designation, and worked with my colleagues to learn the organization and the nuances of working in my field here. How did your team help you transition? My team was very supportive right from the start. I could freely ask those “dumb questions.” When I started I didn’t know what RN (Registered Nurse) and LPN (Licensed Practical Nurse) stood for! Other colleagues who had recently moved to Canada, and were learning things at the same time I was, helped me along the way. It’s easy to ask questions and get answers. I applied as a permanent resident, and then got my citizenship while I was working with AHS. The day I got my citizenship, there was a surprise party for me here! That was wonderful – very welcoming. It’s truly a testament to the great team we have. Can you tell me a little bit about how you find working in Canada, as compared to your experience working in India? India is a growing economy, much faster than in Canada. With that, you see more fast-paced activity, with a higher focus on IT, meaning software or start-up companies – at least that was prevalent in the area of India I was living in. I think comparatively here, companies are a little bit more stable, industries are stable, and they’ve been around for a bit. So there’s that difference that you notice almost immediately. Did you find that your previous experience from India translated well to the work you’re doing here? There are always transferable skills. It’s important to identify what those transferable skills are, and how you can add value to your organization you’re applying to. Generally, I think we have skills as HR professionals – regardless of where (country) or what industry you may have worked, doesn’t matter – those basic skills remain. In the interview process, it’s about giving those kinds of examples, and sharing how you use your current skills. Talking through an investigation process, or how you’ve managed to help your clients make decisions or advise them. Those skills exist everywhere, but it’s about identifying that and being confident that that’s exactly what your employer needs. Was one of the things that you did in Canada include upgrading your skills, or getting certifications to help you advance your application? Yes, that was something that really helped me, because all my education was back in India. So yes, I did have to do a little bit of research. In terms of the Canadian employment laws, et cetera, and very soon, I came across the Certified Human Resources Professional (CHRP) certification. Studying for my certification helped me a great deal, as it gave me a lot of exposure to Canadian employment laws, labour laws, workplace health and safety, and all those other little things which you need to do your job. Aside from ensuring your qualifications are recognized, I’d advise others in a similar position to pursue Canadian certifications relevant to their field – you learn so much that way. Be aware of areas where you need special attention, and seek out ways to improve yourself. There are free courses, and there is so much research you can do, especially when you’re preparing and trying to understand those transferable skills we spoke about, going from a different country to here. Sometimes, it’s just about knowing the right language to use, and just learning to articulate that. Adjusting to life as a new Canadian – what was that experience like? That does take time. [Laughs]. I think the winter is what hits you first. It’s cold, it’s different, it gets dark – those are things that I’d never experienced. I had never seen snow before! I didn’t know what skiing is, or any of those winter activities. It does take a little bit to start venturing out and start challenging yourself to do things that you normally wouldn’t. But, it’s exciting as well. It’s a beautiful part of the country – the mountains are gorgeous. I love being so close to the Rockies – it’s my favorite part of being in Calgary.